Please retreive your user name and temporary password from your email account or contact your company's administrator for further instuctions. 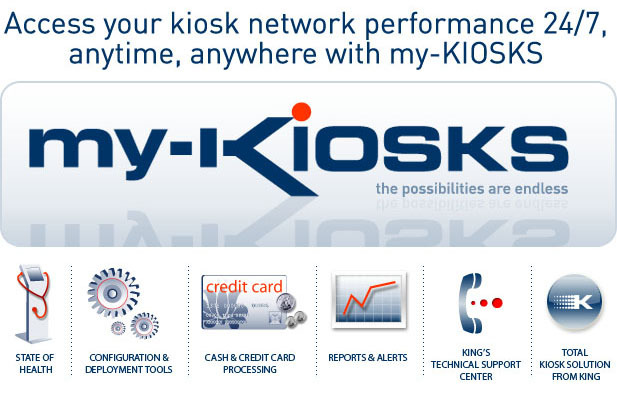 King's my-KIOSKS solution is the first total kiosk solution that combines a no-software, no-server approach to kiosk application creation, customization, integration and management. You only need a King Kiosk and a browser to gain instant access. How do I get my-KIOSKS? Please fill out our Registration Form and our sales representative will be in contact with you shortly.